Mountain Hardwear is one of the most elite companies in the outdoor industry. They sponsor numerous world class athletes and have always made some of the best gear in the industry. However, even as they progress into new markets, new fashions and new designs, there are several we wish they would bring back. Below is a list of the seven things we think they should bring back, even though the decision makers at Columbia disagree. These items were award winners that would still be popular today. The Mountain Hardwear Transition full zip hoodie. 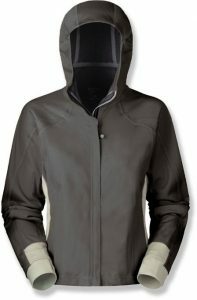 This was a jogging top with a hood, reflective triangles, MP3 pouch, and a windproof layer. It functioned just like a softshell with some water resistant capabilities. How awesome is this top? When the zipper broke on mine, I paid $45 to replace it which is almost the same amount I paid for the Transition in the first place. The Tahoma wasn’t a piece of technical or functional gear; it was more of a lifestyle piece. 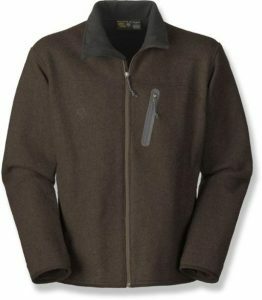 It was a classy wool coat that worked around the campfire or the corporate meeting — one of the warmest pieces I have ever purchased. It sold out in the stores almost as soon as they were in stock. However, as a lifestyle piece, it didn’t compress and wasn’t convenient for a lot of outdoor recreation activities, besides looking good. The paladin was made out of a black pvc. It had yellow webbing attached to it and screamed outdoor lifestyle. It was originally made as a laptop style bag with a laptop compartment. As a canyoneer, i used it for ten years before having to retire it this year. Most backpacks only last one or two canyoneering season. The paladin was durable and sharp looking. 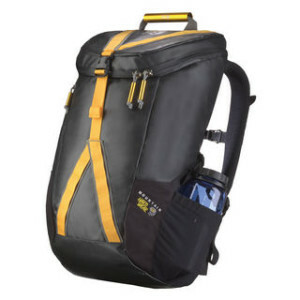 With limited options in canyoneering gear, the Paladin should be brought back and repurposed as a canyoneering bag. The Synchro soft shell had a rough futuristic look to it with wide black taping and covering over the seams. 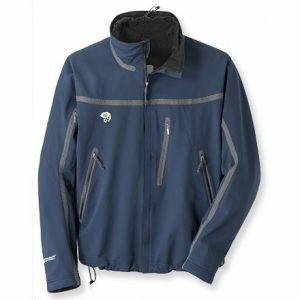 It filled the void between light weiight rain gear and a softshell. IBoth windproof and waterproof, it was too heavy for practical backpacking but was excellent for most winter sports. Total Bonus if they brought back the matching pants too. The Meridian was a single pole tent that was surprising light and compressible. It came in both a one person and two person version. The only catch was it was extremely cozy for one or two people. In other words, if you didn’t like the person you were sharing it with, it wasn’t going to be big enough. On the other hand, it was a perfect valentines tent. Most people thought the two person version was a one person tent, and the one person tent was a bivy you could sit up in. Compared to their new tents, it is sorely missed. Originally this tent was tested as a four season tent. When Mountain Hardwear put a zipper into the tent and installed a large panel of mesh, they had to market it as a 3 season tent. The tent was on the heavy side, but it was also on the bombproof side. We suffered a 40 mile an hour windstorm, and a torrential downpour on the Egypt plateau. 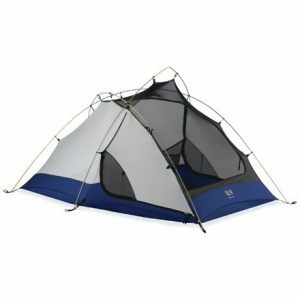 Both the three and the two person tent were far roomier than an ordinary 2 or 3 person tent. 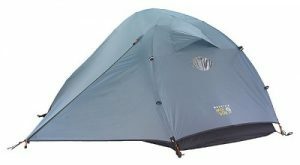 Durability, room and unique design made this tent a winner.